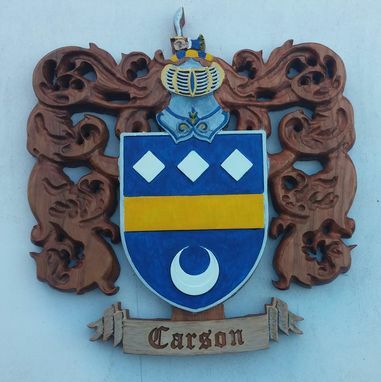 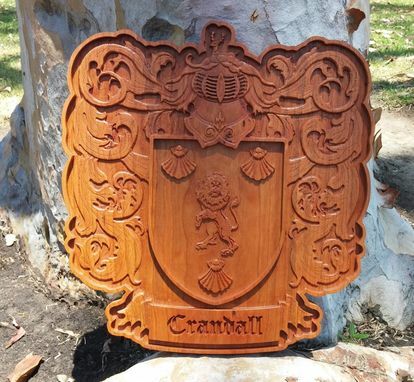 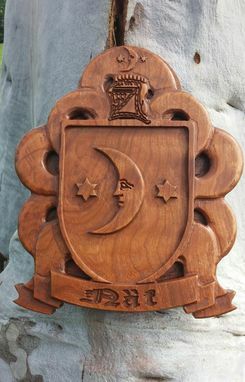 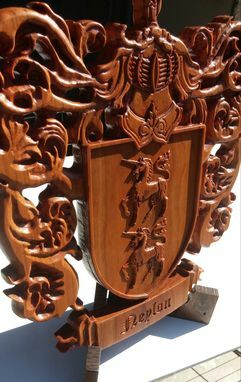 Your family's Coat of Arms carved in Cherry hardwood and stained in your choice of color. 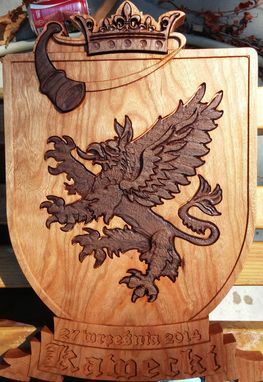 Size 9"h x 8"w (larger sizes available up to 40" x 40"). 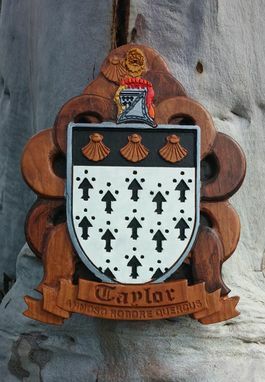 Customer provides a picture or link to acceptable version of CoA; I create a CAD design (computer aided design) for approval prior to carving.